'It was not our job to get in the course of justice,' Murdoch testified. Qualification for continued employment at a news organization, however, calls for something more than non-criminal behaviour. In a revealing exchange with Rupert Murdoch before the Culture, Media and Sport Select Committee of the House of Commons, MP Tom Watson asked: Mr Murdoch, why was no one fired in April , when News International finally admitted that News of the World had been engaged in criminal interception of voice mails? Rupert Murdoch: It was not our job to get in the course of justice. It was up to the police to bring the charges and to carry out their investigation, which we were one hundred per cent co-operating with. Murdoch senior's testimony suggests that leadership at News International, and its parent company News Corporation, apparently believe that journalists in their employ can continue to be employed by them until 'police bring the charges' against journalists and managers guilty for criminal behaviour. This is a management culture that considers ethical journalistic standards as those just shy of criminal. Short of charges being brought outright by police, Mr. Murdoch appears to admit, nothing more needs doing. Mr. Murdoch should, of course, take credit for cooperating 'one hundred per cent' with the metropolitan police. But his testimony reveals a serious error in thinking at the top of the News Corporation hierarchy. 'It was not our job to get in the course of justice,' Murdoch testified. Qualification for continued employment at a news organization, however, calls for something more than non-criminal behaviour. It seems a categorical error to treat employment law standards in press rooms as commensurate with the criminal law. 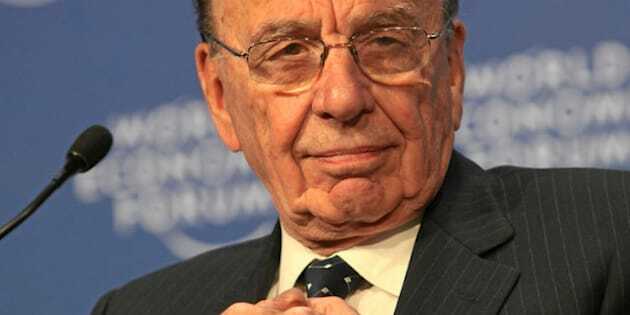 Mr. Murdoch is suggesting that press owners need not take any measures against employees, even where there is a reasonable suspicion of criminal behavior, so long as there is no realistic prospect of conviction -- the standard applied by Crown prosecutors in the UK. In a criminal case, the prosecution has the burden of satisfying the standard of 'beyond a reasonable doubt.' In an employment situation, by contrast, the civil standard of proof, of a balance of probabilities, typically applies. If it is probable that employees at News of the World were engaging in illegal phone hacking then that should be sufficient to terminate their employment, or at least to take interim disciplinary measures. An employer needn't have to wait for criminal charges that may never arise, in any event, for a host of reasons, including technical evidentiary ones. Clearing journalistic house by applying this lesser burden of proof is not about interfering with the 'course of justice,' as Mr. Murdoch implies, but about ensuring the integrity of the free press. The UK press benefits from constitution-like protections that are unavailable to other citizens. These are meant to ensure that, as the press goes about performing critically important public functions, which also happen to generate huge profits for owners like the Murdochs, they reliably can be expected by their readership not to have engaged in corrupt or illegal practices in course of doing their work. By his testimony, Mr. Murdoch has not provided us with any confidence that ethical journalistic standards have a place in his newsrooms.